Protecting your loved ones from dangerous substances or spotting a drug problem once it has begun can come down to one’s own ability to spot illegal drugs like heroin, LSD, marijuana and more. Looking over the following drug photos may help you to be prepared for competent action if ever you come into contact with an illicit substance. If you find and identify illegal drugs or unauthorized prescription pills in your home or elsewhere, do not flush them down the toilet or throw them away. Contact your local law enforcement office for help with responsibly disposing of the substance(s). Heroin (smack, H, tar) is arguably one of the more infamous and daunting illicit substances, having earned a reputation for its heavily addictive nature, powerful euphoric nature and the devastating withdrawal symptoms which follow abstinence from the drug. 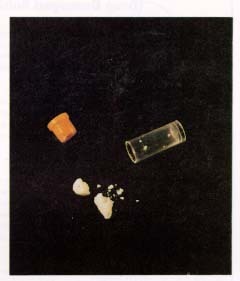 As seen here, heroin typically appears as a powdery substance ranging in color from off-white to brown. 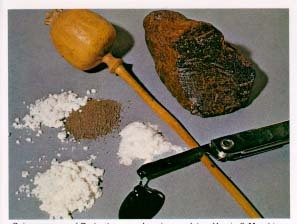 Black Tar Heroin generally appears tarry or clay-like and, although more popular in Latin America, the drug is also available in the US as well with its own set of serious health risks. 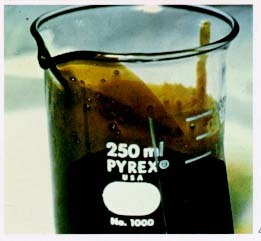 Hashish Oil (hash oil, dabs, shatter) is extracted from the cannabis plant and serves as the most THC-potent cannabis product which can be derived. 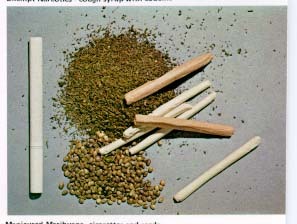 Marijuana (weed, mary jane, grass) is generally a combination of the dried leaves of the cannabis sativa plant. Marijuana’s potent smell makes the drug easy to detect. Opium is the addictive substance derived from the opium poppy plant. Drugs like heroin and morphine are derived from opium (obtained from the opium poppy plant, pictured here), which produces intense euphoric and analgesic (pain killing) effects. Ecstasy (MDMA, molly) is a popular synthetic psychoactive club drug which can distort both one’s personal perception and sense of reality. Ecstasy is also known for producing feelings of warmth and affection towards others, and as such puts users at considerable risk for sexual assault or abuse. 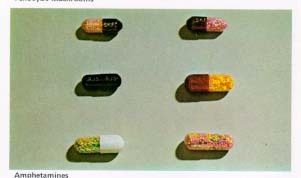 Ecstasy can come in a number of different colors and styles. LSD (acid, blotter) is one of the most powerful hallucinogenic drugs, known for producing long-term mental flashbacks and other brain disruptions. 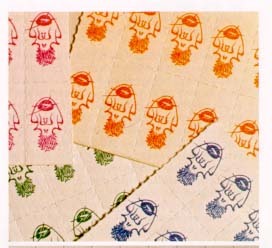 Pictured here as drug-soaked paper tabs, LSD can also be found in powder and pill form. Amphetamine drugs (speed, Dex, Adderall) are powerful synthetic stimulant drugs which are generally prescribed for medical conditions ranging from narcolepsy to Attention Deficit Disorder. 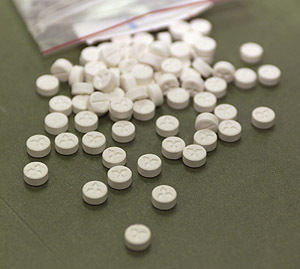 Amphetamine pills ranging from Dexedrine to Adderall each vary in appearance. Cocaine (coke, blow) acts both as an appetite suppressant and a central nervous system stimulant which also produces highly addictive, powerful feelings of euphoria and increased alertness over a period of time lasting up to one hour. 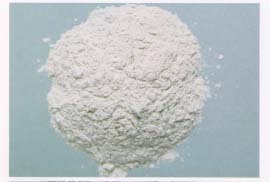 Cocaine can appear as a white, crystalline or powdery substance, as pictured here. Although not recommended, cocaine is also identifiable by the numbness which it produces when placed on the tongue. Crack Cocaine (crack, rocks) is generally thought to be the more addictive form of cocaine, although this is not true in all cases. 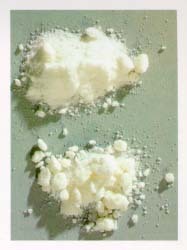 Usually smoked or injected, crack cocaine is less expensive to obtain than powdered cocaine and offers a very short but intense high to its users. Crack cocaine rocks generally appear as whitish or off-white crystal nuggets and can be found commonly in impoverished communities. Quaalude (ludes, soapers, disco biscuits) pill abuse popularity peaked in the 1970s, but the central nervous system depressant and sedative-hypnotic drug remains illegal in many parts of the world. (Note: The brand-name drug for Methaqualone is called Quaalude. Prescription Opioid Painkillers (Vicodin, OxyContin, hydrocodone, oxycodone) now account for a sizable portion of the US drug problem. 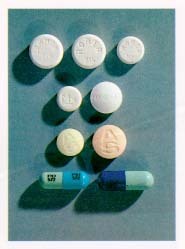 Each painkiller itself may be marked with a different characterizing code number, set of initials (“OC” for example) or color which enable the pills to be identified. A healthcare provider or member of law enforcement can assist as needed. Prescription painkillers like OxyContin and Vicodin each have their own set of identifiable markings. Bath Salts (Ivory Wave, White Rush, Cloud 9) became increasingly popular and well-known as reports surfaced of disturbing behavior on the part of its users. These synthetic drugs are thought to mimic the effects of both methamphetamine and ecstasy, offering an intense yet highly unstable high. Many packages of Bath Salts and other synthetic drugs are labeled “Not For Human Consumption” to avoid scrutiny. Synthetic Marijuana (K2, Spice, Black Mamba) is made from a dried blend of herbs and leaves which are sprayed with synthetic (man-made) cannabinoids – chemicals engineered to supposedly mimic the effects of a marijuana high. User reports indicate synthetic marijuana produces a high completely unlike naturally occurring marijuana and it is said to give off an unmistakable foul odor.